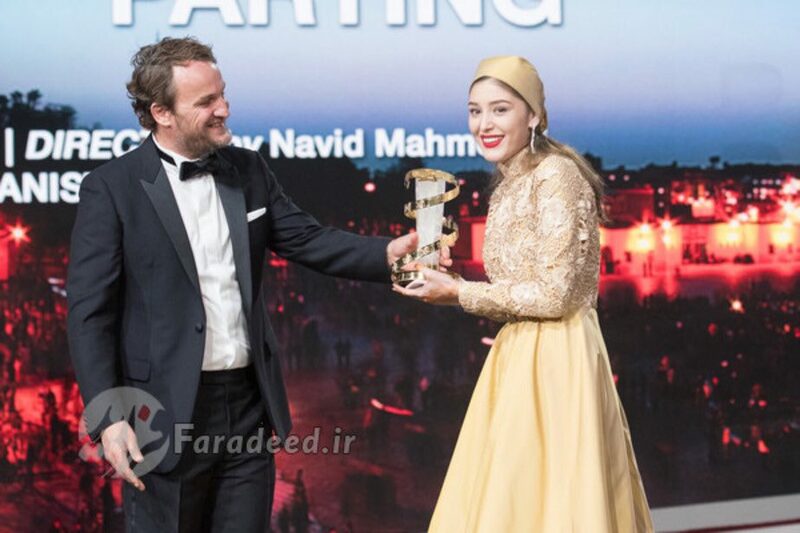 Fereshteh Hossaini, a former OMID girl, has just won a major award in the Marrakech International Film Festival, in Morocco. Fereshteh won the Best Performance by an Actress award for playing in ‘Parting’ directed by Navid Mahmoudi, a joint production from Iran and Afghanistan. The award was presented at the closing ceremony of the 16th Marrakech International Film Festival on Saturday, December 10. 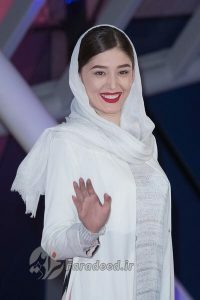 During her entire stay at OMID, Fereshteh, an Iranian born in Afghanistan, always had a great interest in acting and participated in a number of plays. With the support and care of the Omid staff she was able to focus on her passion and fulfill her dreams. 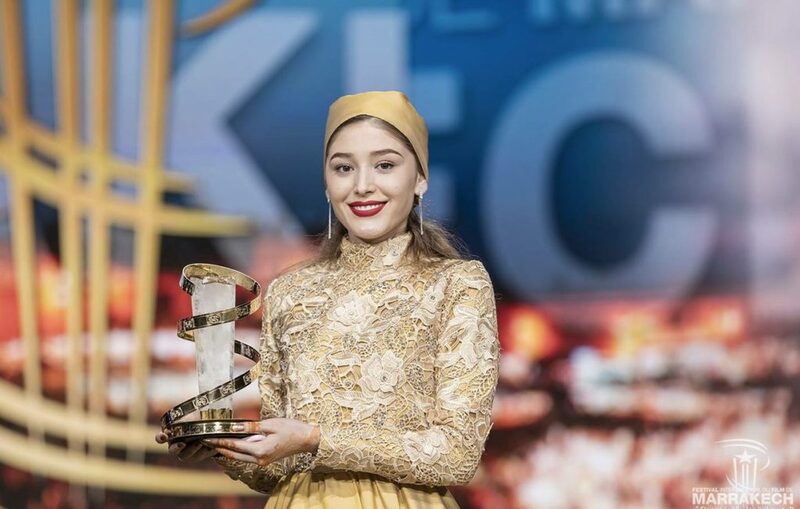 As reported in The Financial Tribune, Ferehsteh, 19, was born in Iran. She participated in acting classes for 10 years in Tehran. 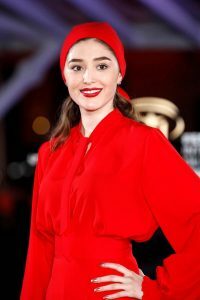 As a child she appeared in a number of plays, mostly musicals, and also had roles in some short films. Parting’s Director Navid Mahmoudi moved to Iran in his childhood. He has Afghan citizenship but has resided in Iran for over 30 years. 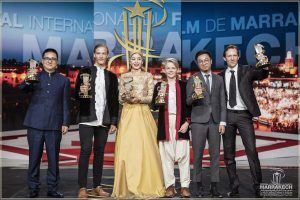 The Afghan-Iranian drama was also screened at the Busan International Film Festival in October and was the opening film at the 21st International Film Festival of Kerala, on December 9-16. The story is about two young Afghans, Fereshteh (played by Fereshteh Hosseini) and Nabi, who are in love. Fereshteh has to follow her parents and leave Afghanistan to find refuge in Iran. Nabi decides to illegally cross the border, to find Fereshteh and take her through Turkey towards Europe in hope of a better life. 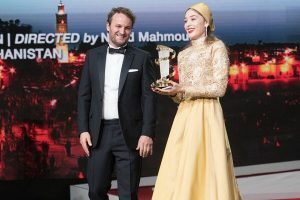 Reza Ahmadi, Behrang Alavi, Nazanin Bayati and Shams Langaroudi are also in the cast. We send her our warmest congratulations and best wishes for every future success. Click here to read more about Parting and the festival.